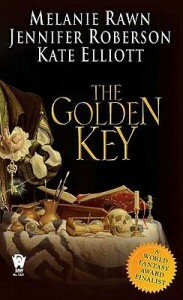 The Golden Key is available in mass market paperback and some ebook formats (I found an ePub version but not a Kindle one). We decided early on the focus would be on painting, and on a particularly gifted artist’s peculiar journey from apprentice to master to . . . sociopath. Goodreads has a link to Google Preview below the book cover that allows you to read some of the book from the beginning. In Tira Virte, art is prized for its beauty and as a binding legal record of everything from marriages to treaties. Yet not even the Grand Duke knows how extraordinary the Grijalva family’s art is, for certain Grijalva males are born with the ability to alter events and influence people in the real world through that they paint. Always, their power has been used for Tira Virte. But now Sario Grijalva has learned to use his Gift in a whole new way. And when he begins to work his magic both the Grijalvas and Tira Virte may pay the price. I came across Ariel when browsing the bookstore and couldn’t resist getting it after reading about it in N. K. Jemisin’s contribution to the Women in SF&F event. Unfortunately, the more recent edition no longer has a cover that defies gender expectations but has a sort of typical cover depicting a boy with a sword and a burning city in the background. 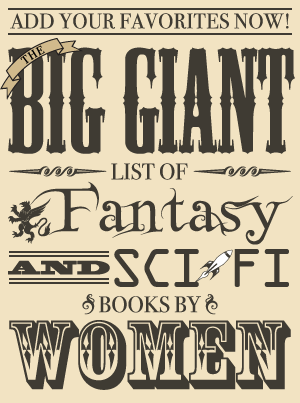 No unicorn is in sight even though her name is the title of the book. There is an author’s note and an afterword in this new edition. Even though Ariel was released almost 30 years ago, a sequel titled Elegy Beach was released just 3 years ago. Ariel is available in mass market paperback, ebook, and audiobook. You can both read samples online and listen to samples online. It’s been five years since the lights went out, cars stopped in the streets, and magical creatures began roaming Earth. Pete Garey survived the Change, trusting no one but himself until the day he met Ariel, a unicorn who brought new meaning and adventure to his life. America Pacifica is available in hardcover, trade paperback, and ebook. An excerpt from chapter two can be read on io9.com. Eighteen-year-old Darcy lives on the island of America Pacifica–one of the last places on earth that is still habitable, after North America has succumbed to a second ice age. Education, food, and basic means of survival are the province of a chosen few, while the majority of the island residents must struggle to stay alive. The rich live in “Manhattanville” mansions made from the last pieces of wood and stone, while the poor cower in the shantytown slums of “Hell City” and “Little Los Angeles,” places built out of heaped up trash that is slowly crumbling into the sea. The island is ruled by a mysterious dictator named Tyson, whose regime is plagued by charges of corruption and conspiracy. But to Darcy, America Pacifica is simply home–the only one she’s ever known. In spite of their poverty she lives contentedly with her mother, who works as a pearl diver. It’s only when her mother doesn’t come home one night that Darcy begins to learn about her past as a former “Mainlander,” and her mother’s role in the flight from frozen California to America Pacifica. 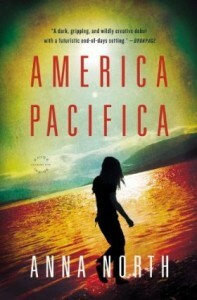 Darcy embarks on a quest to find her mother, navigating the dark underbelly of the island, learning along the way the disturbing truth of Pacifica’s early history, the far-reaching influence of its egomaniacal leader, and the possible plot to murder some of the island’s first inhabitants–including her mother. 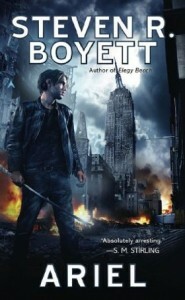 This prequel to the Nightshade trilogy will be released in August in hardcover and ebook formats. I haven’t read the Nightshade trilogy so I don’t know much about it other than that it and the prequel are young adult. 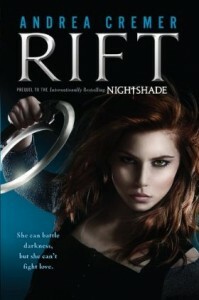 More information about both Rift and the Nightshade series, including some excerpts, can be found on nightshadebook.com. This sequel to The Last Page will be released in hardcover and ebook in August. A lot of people loved The Last Page, but I couldn’t even finish it. 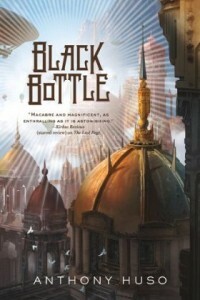 An excerpt from Black Bottle is available on Tor.com. Tabloids sold in the Duchy of Stonehold claim that the High King, Caliph Howl, has been raised from the dead. His consort, Sena Iilool, both blamed and celebrated for this act, finds that a macabre cult has sprung up around her. As this news spreads, Stonehold—long considered unimportant—comes to the attention of the emperors in the southern countries. They have learned that the seed of Sena’s immense power lies in an occult book, and they are eager to claim it for their own. Desparate to protect his people from the southern threat, Caliph is drawn into a summit of the world’s leaders despite the knowledge that it is a trap. As Sena’s bizarre actions threaten to unravel the summit, Caliph watches her slip through his fingers into madness. But is it really madness? Sena is playing a dangerous game of strategy and deceit as she attempts to outwit a force that has spent millennia preparing for this day. Caliph is the only connection left to her former life, but it’s his blood that Sena needs to see her plans through to their explosive finish. Dark and rich, epic in scope, Anthony Huso has crafted a fantasy like no other, teeming with unthinkable horrors and stylish wonders.